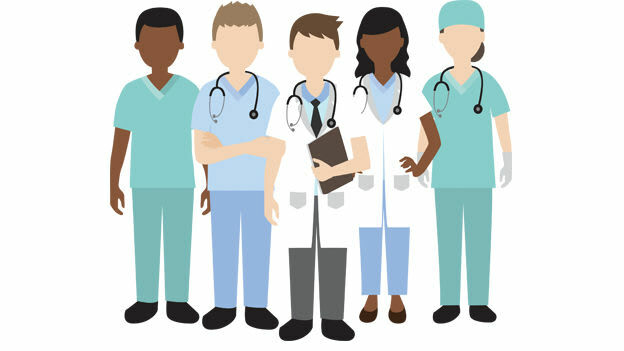 Here is an overview of the state of careers in the healthcare sector. The healthcare industry in India is expected to grow exponentially and reach about 370 billion US Dollars by 2022 owing to heavy incidence of non-communicable diseases and lifestyle ailments in the country. There is a respectable growth of hospitals, clinics, nursing homes and even insurance companies offering medical insurance. All of these require professionals to run their organizations for smooth functioning and for expansion. No wonder there has been considerable interest among youngsters these days for a career in healthcare management. Healthcare management involves taking care of administrative needs of a healthcare institution. There are several aspects to it. There is accounting, staffing, marketing, public relations, human resource management and many others. Healthcare managers are primarily responsible for delivery of healthcare services in an efficient manner to the patients. The minimum qualification required for healthcare management is an undergraduate degree in hospital administration, i.e.,‘Bachelors in Hospital Administration.’ The eligibility for this course is minimum 50 percent marks in 10+2 with biology as a subject. After successful completion of this course, the candidates can go for a job in the healthcare industry or go for a masters degree in healthcare management. One can choose a ‘Masters in Hospital Administration’ or ‘MBA in Hospital Management.’ These courses can be done even by those who did not have a proper science subject at graduation level but having a biology-related subject in graduation like microbiology or biotechnology is a must. A Masters graduate in Hospital Management will join at mid-level management level in a particular field like human resources, government relations, information systems, finance, material management, public relations, front desk and reception, patient satisfaction and many others. Working for hospitals or clinics can be challenging and requires hard work, a lot of patience and leadership skills. One is expected to shoulder responsibilities such as maintenance of labs, administrative work and quality checks, material management involving the regular supply to doctors and nurses and many others. Sometimes, one is required to work in shifts and under severe pressure. There are cases where the staff is given accommodation in the premises if their roles and responsibilities so desire. Other aspects of this career are that sometimes one is required to work in an emotionally charged atmosphere. Candidates can be asked to come to work anytime given that hospitals have to deal with emergency situations also. There are several advantages too. Work satisfaction, remuneration is increasing as India is an evolving medical tourism hub in Asia. This means hospitals chains are deploying staff in trying to get international patients also. A career in hospital management can also involve global marketing. With the ever changing and ever evolving healthcare industry and with India also maturing as a healthcare destination, there are newer aspects of a career in healthcare. There is now a great deal of emphasis on eHealth initiatives such as Mother & Child Tracking system by the government. Indian companies are also entering into mergers and acquisitions with global companies which opening up new jobs and requirements for healthcare professionals In India. Those who have a computer science degree in undergraduate level and then opt for an MBA in Hospital Management can set their careers on a fast track. The recent decision of the Central government to provide up to Rs 5 lakh per annum per family in the country to avail health care services is something that will change the healthcare dynamics completely. It will push up the demand for doctors and healthcare professionals further. There will be a paradigm shift, and more and hospitals will come up to cater to those patients who did not avail medical services so far because of lack of financial resources or went to unprofessional medical practitioners who were willing to offer them services at a cheaper rate. Now with the new government decision, more and more people will be able to access professional medical services. If one is willing to work hard accept challenges and likes meeting people from different parts of society, then Hospital Management may make for a great career. Pratima Jain is the Group Head- HR at Paras Healthcare. She has over 18 years experience in industries like healthcare, hospitality, and BPO. Jain has worked with leading corporates and served at positions of responsibility across various dimensions of HR like Employee Life Cycle Management, Talent Acquisition & Management, Organisation Development, Employee Engagement, Performance Management and Capability Building. She has been in leadership roles involving HR strategy and worked closely with senior management at corporate like Oberoi, Genpact, Claridges, Royal Orchid Hotels, BLK Super Specialty Hospitals and many more. Jain has worked with large teams and has the ability for being an effective planner. She also possesses superior communication skills which have propelled her career at top positions in the organizations where she has worked so far. She also possesses educational qualifications from colleges of repute. She has done her B Sc in 1993 from St Bedes College, Shimla. She went on to do Masters in Business Administration in 1995.